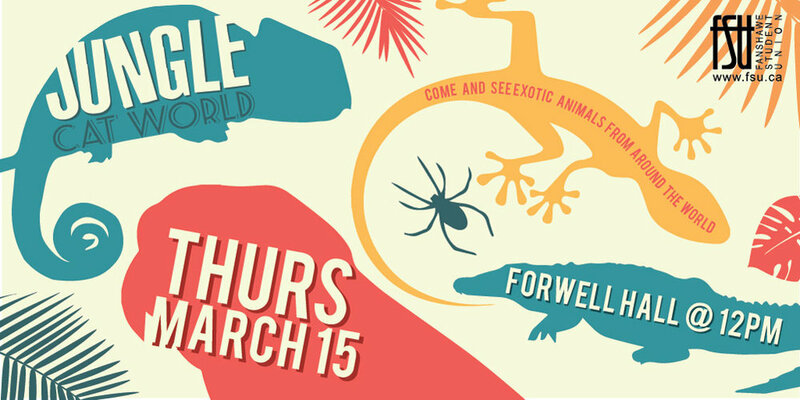 Details: Exotic animals from around the world are coming to Fanshawe for a unique, free event. Staff from the Jungle Cat World Wildlife Park in Orono, Ontario bring some of their magnificent animals to Forwell Hall. It is not every day that you get to see a Serval cat or a lemur on campus.